If you’ve been hanging around this blog for very long, you are well aware of my certified obsession with fresh flowers from the grocery store. 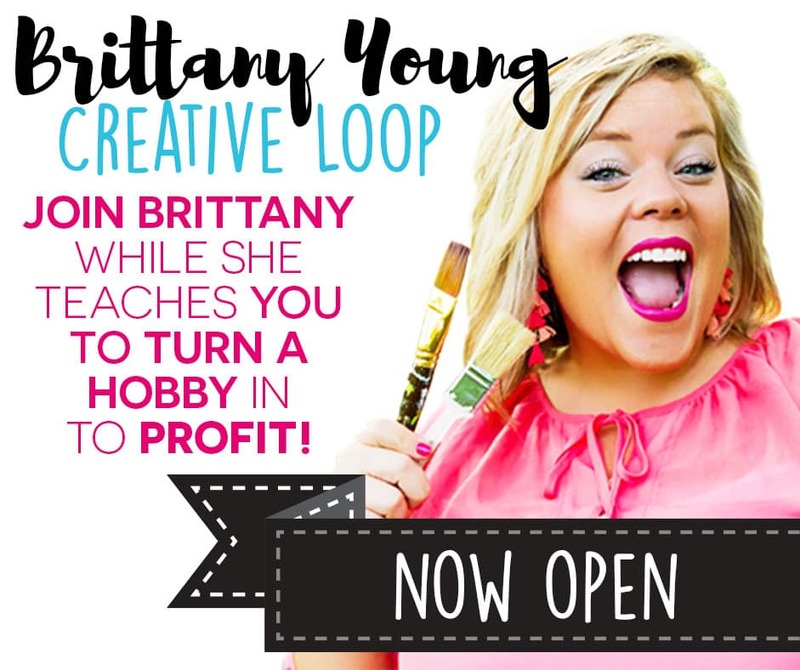 Today I’m hoping to spread this joy by sharing with you a DIY idea for the upcoming holiday! 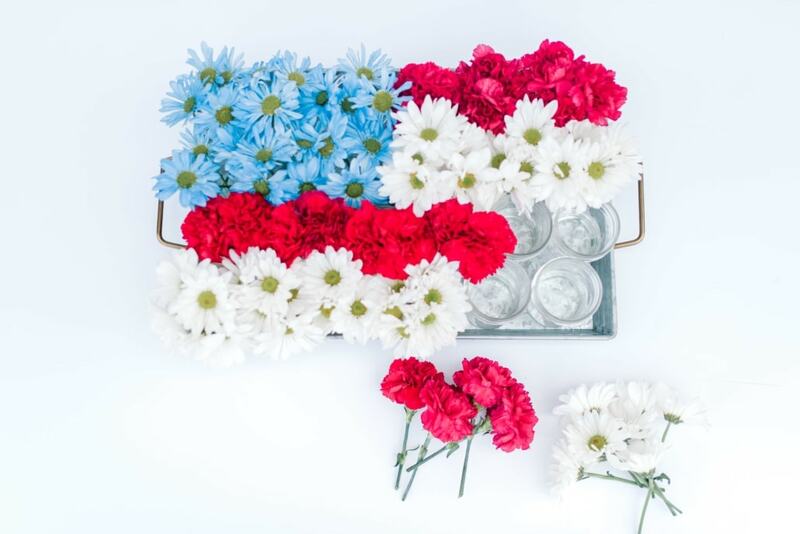 Grocery Store Flowers for the Fourth! 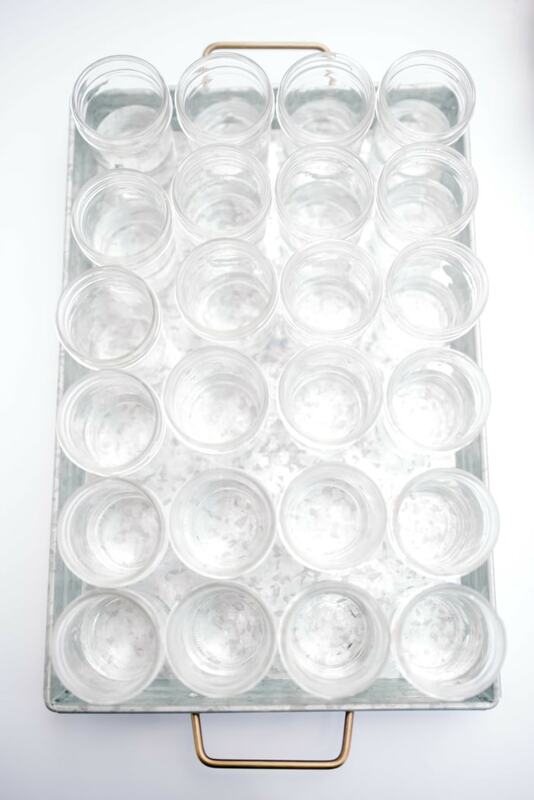 Gather up some small clear jars. These could be little votive candle jars, tiny mason jars, baby food jars, numerous possibilities! You need enough to be able to create a rectangular shape with an even number of rows. 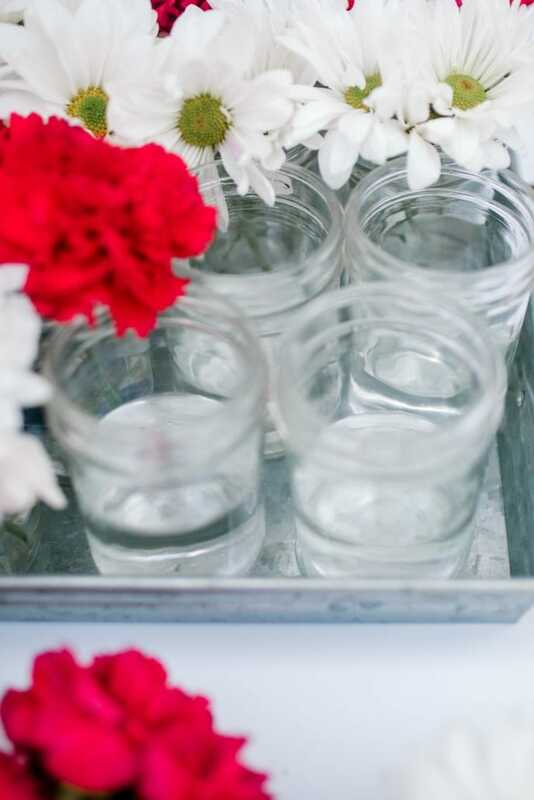 Calculate less jars for a smaller space or smaller amount of flowers, and vice versa. Fill each about 1/2 full with water. 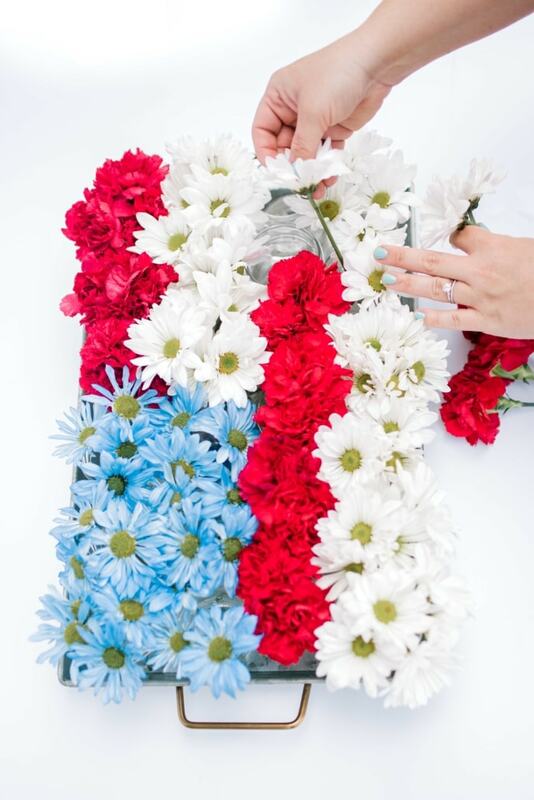 Let that flag fly across your arrangement! Blue flowers will grace the top left of the rectangle. Begin with a red stripe on the top row and alternate to end with a white stripe across the bottom row. 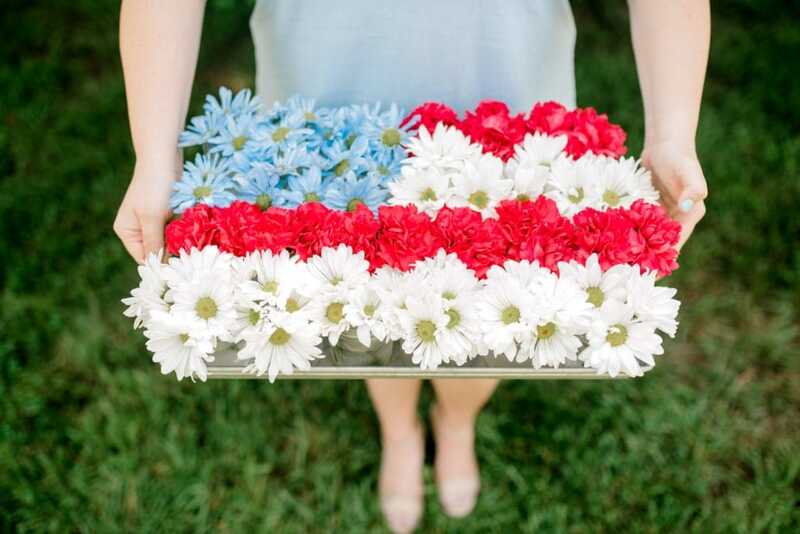 What a gorgeous accent or centerpiece to celebrate our American the Beautiful!